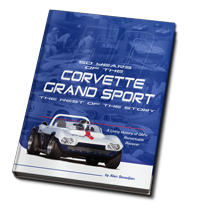 San Francisco is the only SCCA region with a regularly scheduled vintage event. 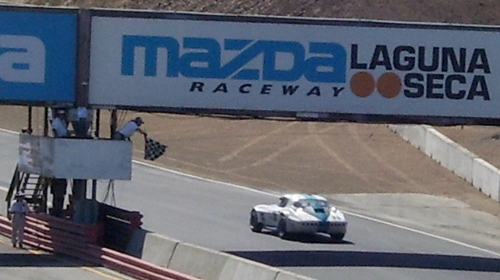 It’s run in September at Laguna Seca. We made the long haul from Dallas, and found beautiful weather and friendly competitors and officials. Edward did most of the driving this weekend. 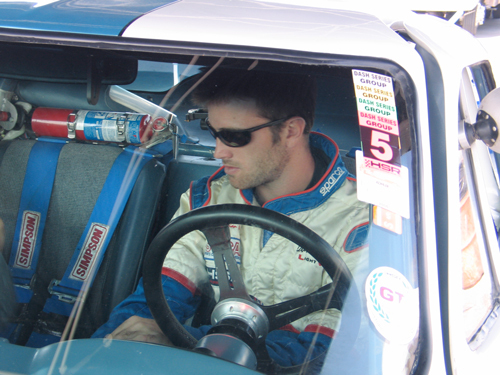 He had logged many race miles co-driving in the enduros, but this was to be his first race to start. In spite of having zero time at Monterey, Edward led every lap and won the race by quite a large margin. 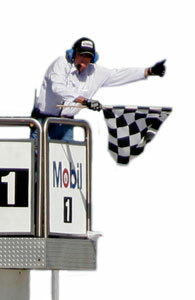 Edward had never driven at Monterey; but he led every lap. This was our first experience with our big block and a 103 db sound restriction, but we came prepared with four freshly packed large Burns Stainless mufflers, with the pipes turned down. Unfortunately, we had to go to plan B when we were black flagged after the first practice lap! We borrowed another set of mufflers from a very gracious competitor. These appeared to be so restrictive that we called our engine shop back in Texas to make sure we weren’t going to hurt anything by running them. They turned out to be just barely effective enough, but just to be sure we lifted off the throttle while going by the sound shack. On Sunday we were invited to run the USRRC Seniors Tour race, sponsored by Vintage Motorsport Magazine. Since Alan is a senior, he drove that race and won the over two-liter GT class. Edward wins his first race. Well done!